1 of 4 Into the bowl of an electric mixer fitted with the whisk attachment, add egg whites. Whip on medium-high speed until soft peaks form. Add cornstarch and continue whipping until firm peaks form, about 1 minute more. Stop mixer. 2 of 4 In a medium saucepan, combine honey, 2 tbsp water and salt. Set saucepan over high heat. Stir mixture gently to combine as it heats to a boil. When syrup has begun to bubble, clip a candy thermometer onto side of saucepan. Cook syrup until temperature reaches 248 degrees . Remove saucepan from heat, and with a mitted hand, carefully carry it over to mixer. Restart mixer on medium speed. Slowly drizzle syrup into whipping egg whites -- just a tablespoon or two at a time at first to avoid scrambling egg whites. When all the syrup has been added, increase mixer speed to high and whip meringue until it is stiff and glossy and bowl is cool to the touch, about 5 minutes. Beat in vanilla during the last minute. 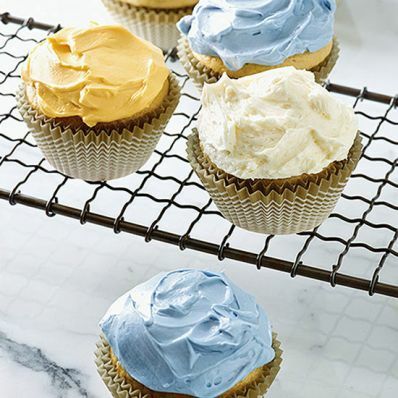 3 of 4 Use immediately as a frosting or filling.